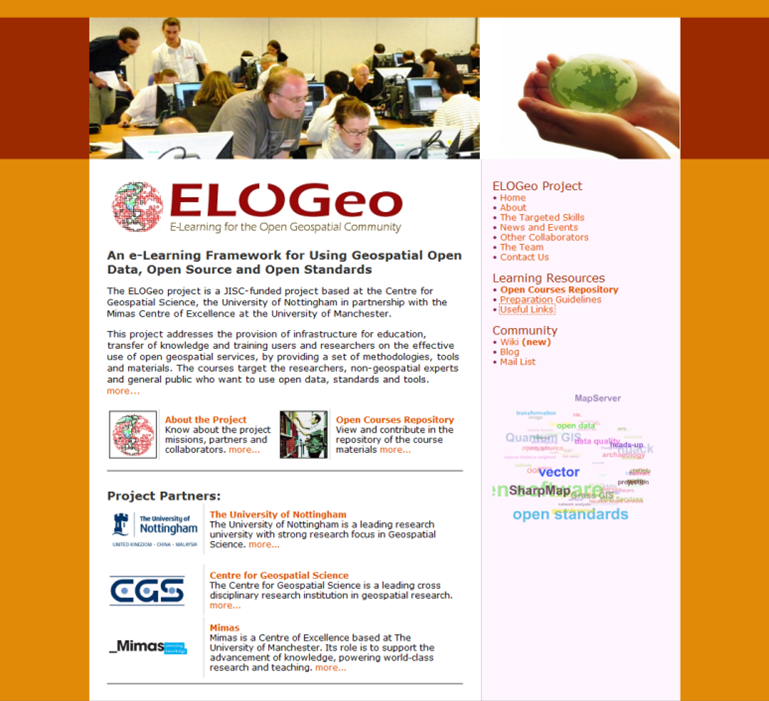 ELOGeo: The e-learning resource for anyone curious about open geospatial data, tools and standards. 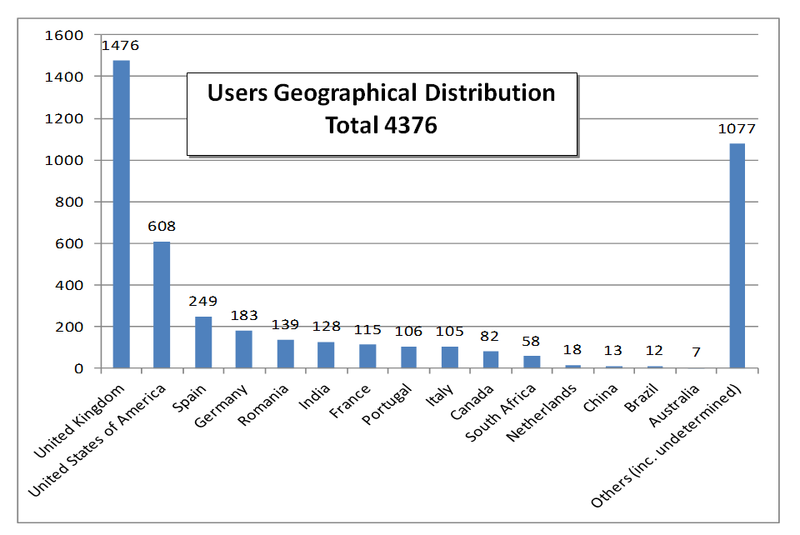 The primary users: Lecturers, students, researchers and the community of other specialised open geospatial organizations and international bodies including the Open Source Geospatial (OSGeo), Open Geospatial Consortium (OGC), Open Street Map, related sectors in government, NGOs, charities etc. The project impact and usefulness: The ELOGeo project has been very successful in establishing an infrastructure and a community for sharing and disseminating knowledge of emerging open source geospatial software, data and standards. ELOGeo platform and learning materials are open to all those who are interested, and this is the key factor for the impact made by the project. Openness is the key element in all aspects of this project. Not only is the subject is about open geospatial but also the access to the materials is open to public under open licenses, and even the framework itself is developed in open source platforms. 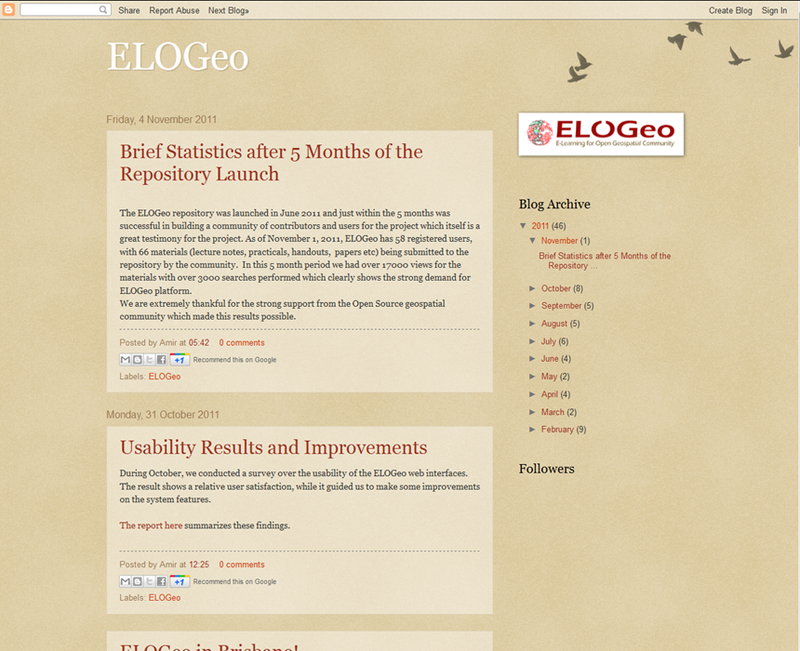 The ELOGeo repository was launched in June 2011 and within 5 months was successful in building a strong community of contributors and users for the project. 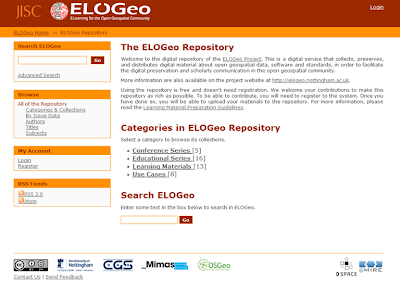 As of November 1, 2011, ELOGeo has 58 registered users, with 66 material items (lecture notes, practicals, handouts, papers etc) submitted to the repository by the community. 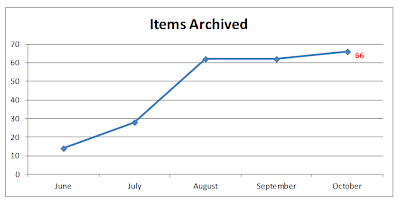 In this 5 month period there were over 17000 accesses of the materials from over 4000 users which demonstrate the strong demand from the targeted community. Each repository “Item” may consists of different files (“Materials”). A usability survey has been conducted in the last month of the project (details at http://elogeo.nottingham.ac.uk/documents/UsabilitySurveyResults.pdf) which also helped the team to apply some improvements on the user interface. 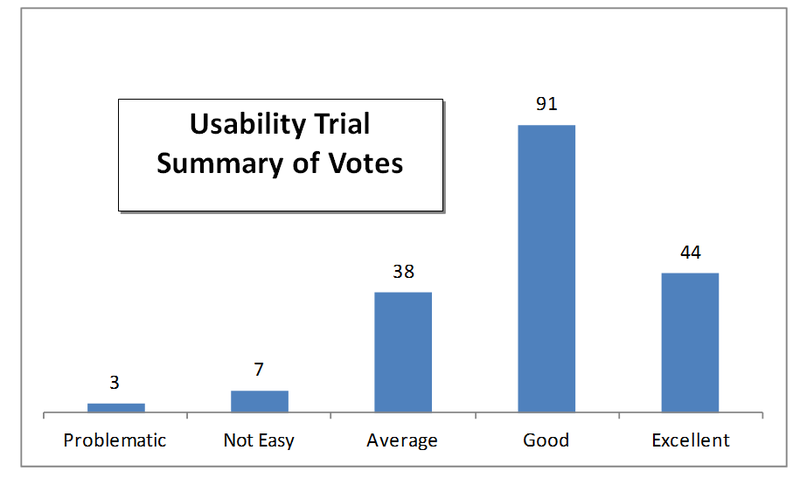 The overall look of responses shows a relative satisfaction in experiencing the ELOGeo project. 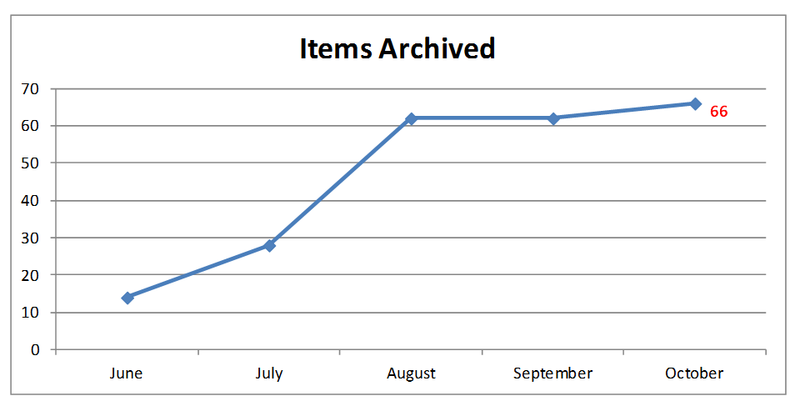 The following chart shows the sum of all the collected responses. 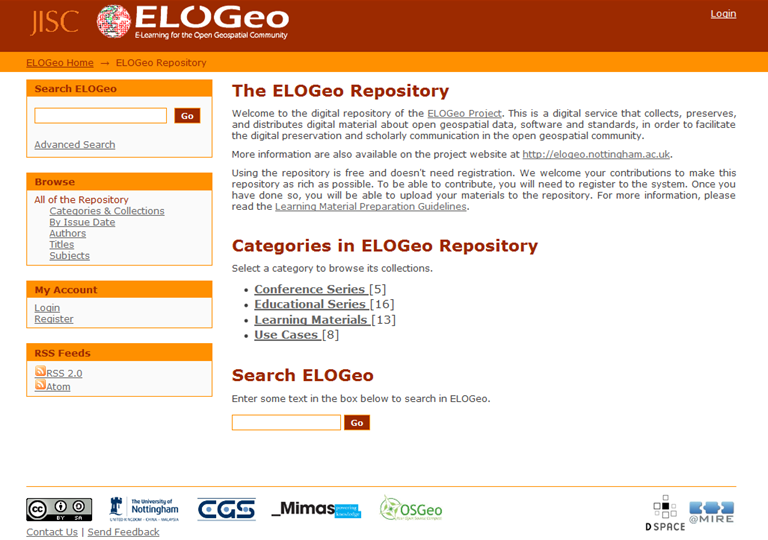 From the user’s perspective, ELOGeo can be the primary source of learning to use the open geospatial resources. From the teachers’ perspective, ELOGeo can be the primary archive for their needed material and to share them with the students. From the public perspective, this helps to get the benefits to a wider audience. Without ELOGeo, the materials could be shared online temporarily, but there was no specialized and established source for all those related materials. Use Case 2: A non-geospatial specialist from any discipline realizes that she needs to work with the open geospatial data and software (e.g. for flood mapping). She can go through the Introduction for Beginners wiki page which covers topics such as Introducing GIS, Vector Data, Data Capture, Raster Data, Topology, Coordinate Reference Systems, Map Production, Spatial Analysis (Buffers analysis, Interpolation etc.) which are all fundamental subjects to learn to be applied in any application theme. Once they have this knowledge, they can move on to advanced topics such as web services and OGC standards which are available in the repository. o The main website (elogeo.nottingham.ac.uk) introduces the project’s aims and objectives, its team and its partners and collaborators. It also provides links to the main features of the system including the repository, wiki and blog. There is also interactive tag cloud based search facility provided to the users. o The repository (elogeo.nottingham.ac.uk/xmlui) where the learning materials are classified and archived. 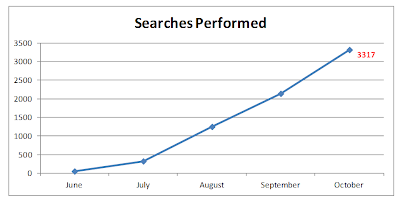 The users can search and find their materials through different searching and listing tools, including full-text search. They also can register/login to the system to manage their uploads. The administrators can run the workflow of accepting/rejecting/modifying the uploaded materials as well as administrating the user accounts. 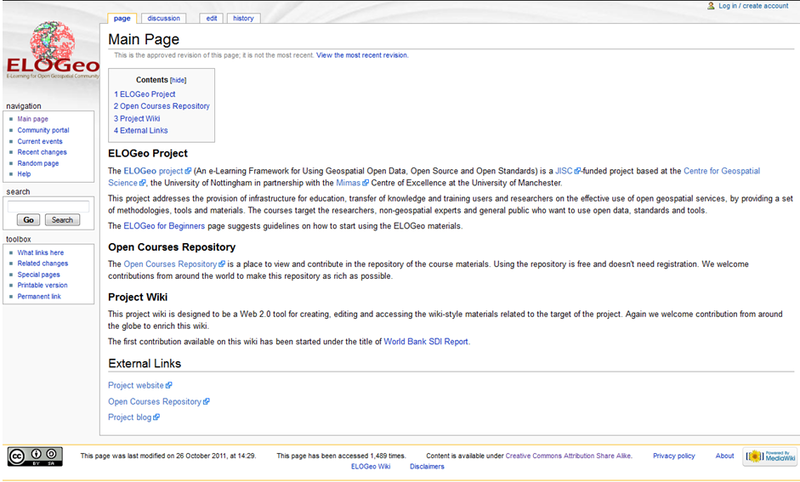 o The wiki (www.osmgb.org.uk/elogeowiki) where the system users can create and access the wiki-styled materials. Users will be able to take advantage of knowledge sharing in a wiki environment, including the ability to interlink, discuss and access to the previous editions if necessary. Moreover, administrators can approve/reject the changes made and manage the users’ accounts. 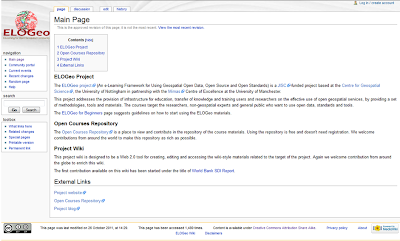 The wiki can act as a knowledgebase on its own, as well as providing a conceptual interlinked layer over the ELOGeo repository. The main contribution to the wiki so far is a comprehensive report made for the World Bank titled Using Spatial Data Infrastructures for Monitoring Development Outcomes: A Manual for Developing Countries, edited by Mike Jackson and Zoë Gardnera, which has been organized as a series of interlinked wiki pages. In future, we aim to link the repository and wiki in a more integrated manner. 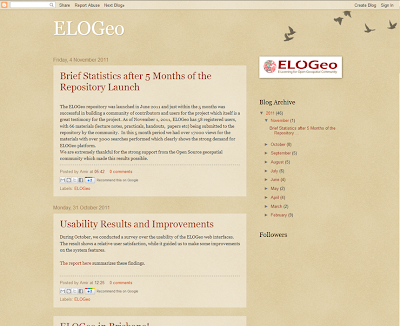 o The blog (elogeo.blogspot.com) where the system developers and users can share their ideas and comments. This has been used for the initial system development posts, and can now be used for sharing news, comments etc. The blog has had 98 visitors from 16 countries so far. There is an increasing demand from both teaching staff and students for access to good quality teaching and training materials in open source geospatial technologies, standards and data and ELOGeo targets this need of the community. 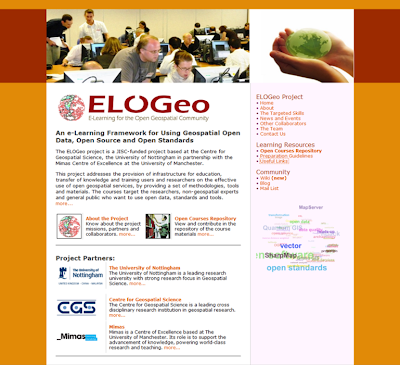 The ELOGeo’s aim is to cater for all levels of users (from novice to expert) who are interested in learning and using open source GIS. Also we welcome users from different disciplines (archaeology, engineering, geography, etc) who are interested to learn and use open source GIS and so have included introductory material and items on basic concepts in the ELOGeo repository. The expanding range of Open source GIS tools greatly enhances the use of geospatial technologies by the wider community and facilitates the sharing of information and collaborative work. But in order to fully utilize the potential of these new and innovative technologies there are key challenges that need to be overcome. These include (1) a solid understanding of the technology by the wider geospatial community and (2) knowledge of how to integrate these technologies with existing theory, techniques and models. There is growing demand from the geospatial industry and academia for students with these skills. The ELOGeo vision is to provide a framework environment for the seamless sharing of geospatial and map based information and knowledge in this theme. 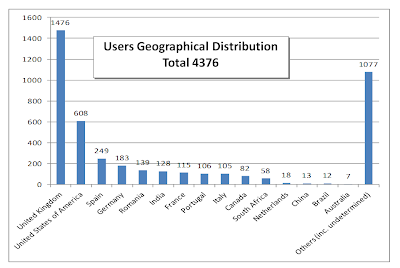 As ELOGeo was implemented as a community led project (with strong support from Open Source Geospatial Foundation, Open Geospatial Consortium etc) and over the 5 months since launch had attached many contributors and users for the system. 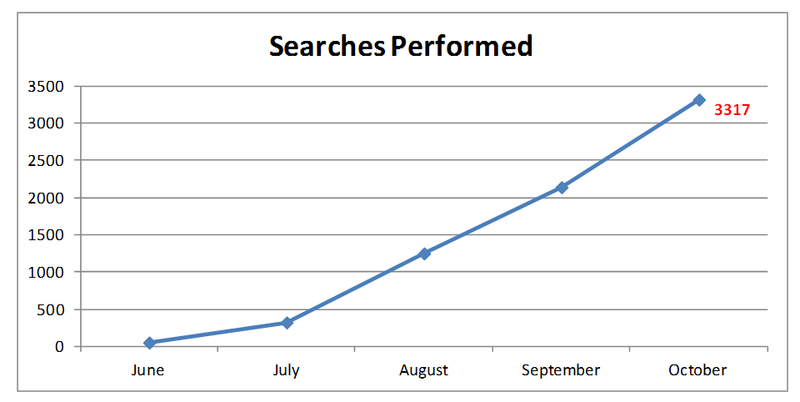 We envisage that more people will continue materials contributions and user base increase over time. In the medium term, University of Nottingham will keep hosting the basic infrastructure for this but we will need to find funding to get staff time to help maintain this long term. We hope JISC and other funders will realize the strategic importance of this initiative and its impact and take necessary steps to ensure support for the ELOGeo platform. The next step if the above continuation support is given will be a more generalized research on the sustainability of a crowd-sourced learning framework, having ELOGeo as the case study. We believe that focusing on issues such as Semantic Linking and Body-of-Knowledge development can be the key future research topics.